Yes you can by using one of the P-tap power breakout boxes. If your camera has a power-in port, you can use a P-tap cable to power your camera. Keep in mind that this will significantly decrease the battery life of your setup. Can I power accessories off of the gimbal? 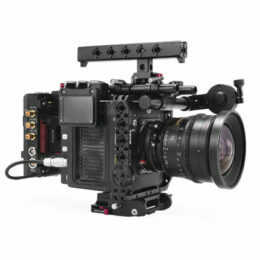 What is the maximum payload the gimbal can carry? The Mimic remote control system is not pairing. How do I pair the Mimic transmitter to the receiver? How do I balance longer camera setups? Can I power my camera through the gimbal’s battery?